About 1,500 people had to be evacuated from their villages to safer zones after torrential rains hit the northwest Turkish province of Edirne on the border with Greece, causing the Tunca and Meric riverbeds to overflow, officials said Monday. Four villages and several isolated farmhouses close to the city of Arta in Greece were also evacuated after heavy rains swept across the northwestern province of Epirus. 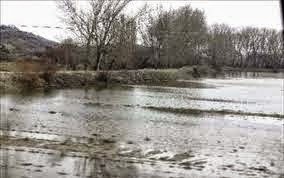 The historic Plaka Bridge near Arta also collapsed after at least four rivers in the region burst their banks, three of them near Arta and another closer to Greece's border with Albania.